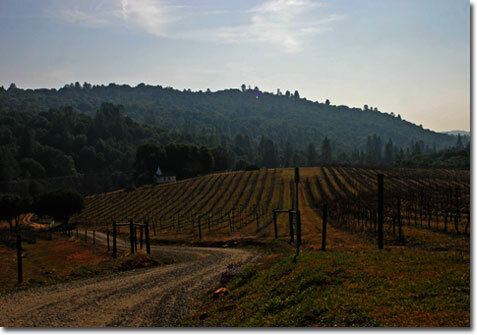 Tuolumne and Mariposa are the two least populated counties in the Sierra Foothill AVA as well as being the two furthest South. These regions share much of the same Gold Rush history as their neighbors to the north as well as the rich wine history that went along with the immigrants that made this area home in the 1800s. Although this area shares the warm days and cool nights of the northern wine regions, it is more likely to be known for its relationship to Yosemite than its fine wine. This area shares the potential for fine wine production, and there are a number of vineyards producing excellent grapes, but there are only 7 wineries and tasting rooms between the two counties. The Gold Rush came to this end of the Sierra Foothills soon after it came to the rest of the area and with it came a mix of immigrants from around the world. The influx of immigrants from many European countries, as in the other foothill counties, created a market for the wine, beer and spirits they missed from their homelands. Many entrepreneurs who originally came for the gold saw this as an opportunity to use their grape growing and wine making skills and the industry flourished. However, as gold fever panned out and the miners moved on, the market dried up and the industry in the entire foothill region almost completely died out. Mariposa was home to the original Spanish land grant given to John C. Fremont. One of the largest mountains in the area, Mt. Bullion, is named after his wife’s father. Once California was no longer under Spanish control Fremont’s battle to keep his land and mineral rights helped write the California mining laws that we still live with today. He even went so far as building his own fort to protect his land from what he considered claim jumpers.